Do you think Petey Piranha is actually robbed? I actually prefer a potted plant. Nah, neither one deserves this. I kinda thought this topic is too trivial to be own thread and wanted to post in a general opinion thread, but still decides to post here and see how you guys think. Of course this topic is related to Plant Piranha, the very first Mario fighter in smash bros as a very generic species, even not the most popular enemy species in Marioverse. which leads to various kinds of controversies. When it comes to any specific character of the plant piranha tribe, I cannot help but think of Petey. According to my memories he seems to be an actual individual piranha variant, although, even more variants rival character of him appear in other games, but that is kinda a proof that Petey does have significant impact on the whole franchise. Despite his role is not as obvious as BoweserJr, he has been a very eye-catching rival character to Mario after Wario bros and King Boo. Despite he is remembered in Smash bros, but weirdly only appears as a boss then as an attack and weirdly not appears as an individual fighter over plant piranha. Not that I think Petey deserves a spot (as long as I'm opposed to more slots for Mario franchise), but just in this case if Nintendo want to summon a different kind of Mario franchise rival, Petey seems to be the more deserving one base on his general roles in Mario games. Re: Do you think Petey Piranha is actually robbed? We can't look at Piranha Plant's inclusion like any other character. It's plainly obvious this is a character they added where for once they wanted to ignore any pre-conceived notions about a character inclusion for something a little more humorous as well as what Sakurai has said about a little more variety. We can't exactly say Piranha Plant took someone's spot as much as the jokes about Waluigi persist. Piranha Plant is not an inclusion where they picked it over another character, it's literally a "just because" kind of inclusion. This game focused mainly on fan service inclusions with Ridley, K. Rool, and even some of the echo fighters that probably would have not gotten in any other way. What Piranha Plant does tell us that we know for sure now that Sakurai loves his surprises. Albeit the earlier surprise characters had some merit to them one way or another (Ness, Mr. Game & Watch, ROB, and Wii Fit Trainer are the characters I'd consider the main surprise inclusion in previous games). The base game newcomer list for Newcomers had no surprises on that big of a level, so when Sakurai finally got the room to add a character literally no one asked for he really snapped and went with a Piranha Plant. Also regarding Mario representation, it is Nintendo's flagship franchise so they could very well put as many as they wanted there. The only big hole remaining in Mario's representation in Smash is some sort of playable Toad character (Whether that's Regular Toad or Captain Toad). I think something as random as Piranha Plant's inclusion may be a little more palatable if Mario was already completed with some kind of Toad. As for Petey, well he's featured in the Final Smash. 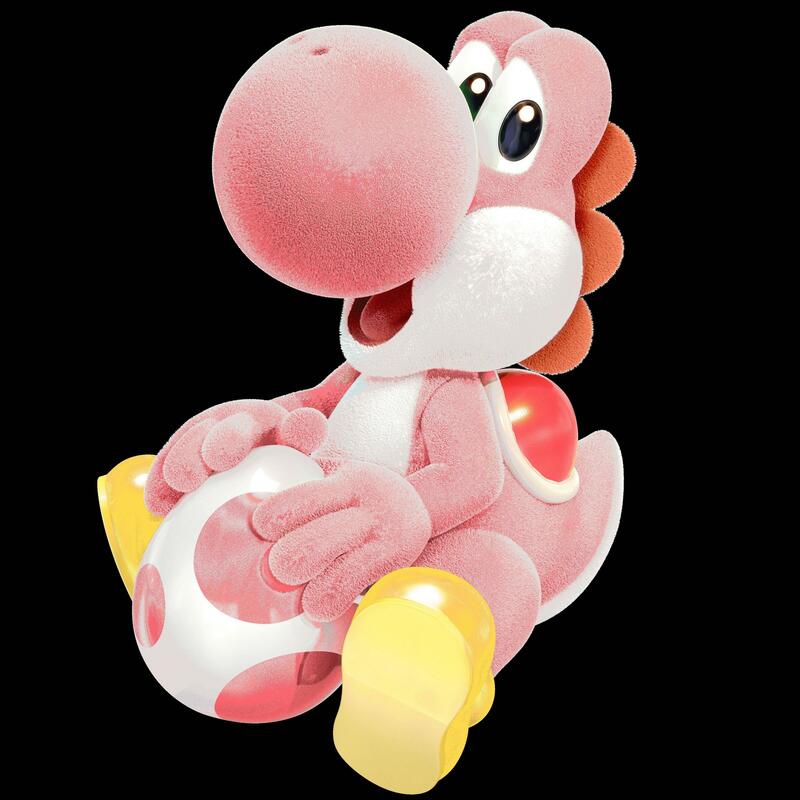 It's kind of hard to say Petey got "robbed" when this is a a character/species that literally no one was expecting to have any shot at being playable in Smash. This isn't a case of "We'll go with a normal Piranha Plant instead since Petey's a little too large" it's a "Hey wouldn't it be funny if we added a Piranha Plant?!" We can't look at Piranha Plant's inclusion like any other character. What Piranha Plant does tell us that we know for sure now that Sakurai loves his surprises. Also regarding Mario representation, it is Nintendo's flagship franchise so they could very well put as many as they wanted there. The only big hole remaining in Mario's representation in Smash is some sort of playable Toad character (Whether that's Regular Toad or Captain Toad). As for Petey, well he's featured in the Final Smash. It's kind of hard to say Petey got "robbed"
Well for Toad, by the words you mean he would just be fine as Peach's move, so this would not be a good example. Overall I understand your point that we cannot really judge plant piranha as a character as significant as others in this game. In my opinion, especially considering he is a free DLC content, is more like a way to differintiate him from other upcoming "expensive" fighters from brand new franchises. My point are more that this would had been a chance to promote Petey given that he has a more obvious role in the franchise. Still regarding to franchise balance, I would not say a generic Mario enemy is an idealistic choice. It might make sense that plant piranha does serve well as a "joke" while also an iconic enemy in Mario franchise. But enemies from other franchises might serve the same purpose as well.